Sew Festive Handmade: Sew Mama Sew Giveaway Day! - Giveaway closed and winners announced! Sew Mama Sew Giveaway Day! - Giveaway closed and winners announced! Hi all! Welcome to my little corner of the Interwebz. For those of you visiting for the first time, I'm Rebecca. 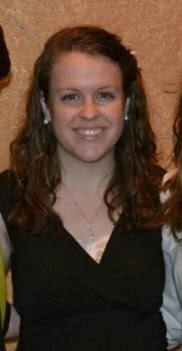 I've been quilting/sewing and blogging for almost 3 years now [meep!] and over the past year I've also worked in child welfare, which has caused my free sewing time to take a huge nosedive. Like many of us, I'm still perfecting the balance between life and my hobby, but if you want to see projects from some of my busier sewing days, just click on the Finished Projects tab at the top! I haven't updated it recently because I'm a bad blogger lol. A set of 36 squares cut from my low-volume fabrics that measure 4.5"
-Please leave a comment stating what your next sewing project is and which fabrics you'd prefer. If you are a no reply blogger make sure you also leave your email address. -You get a second entry for being a follower, so leave a comment saying if you are! -This giveaway is void where prohibited and will end on May 16th at 5 pm. I will notify the winner on this post and by email on May 18th. I'd love to win the low volume squares. I'm working on a quilt for a friend right now. My next project is a superhero themed quilt and a dress for myself. I love both, but if I had to choose, how about the low volume squares. I've been making bedside book organisers for my children, and I'd love the crabby FQ bundle to make something for my kids and my nephew. 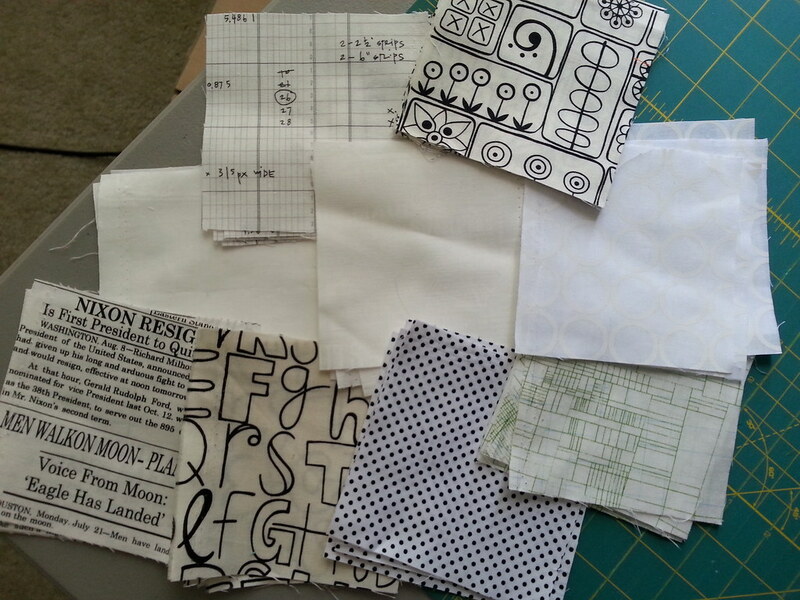 The FQs would make the most adorable baby quilt! My next project is a baby quilt for my friend's first grandchild. My choice would be the low volume charms but I could also put the crabby fq's to good use. Nice fabric... either is fine, though I'd prefer the crabby. They'd look great on a quilt. Thanks for a chance to win! I now follow your blog and looking forward to checking it out. I am working on Granny squares, just finished a Butterfly Blooms. I like Don't be Crabby. Good for I Spy quilts. My next project is a quilt for my sister in laws 60th birthday - have all the fabric ready to go now. If I have to choose I say the charm squares, but like the Don't be Crabby too. I have been following your blog on bloglovin for more than a year now. My daughter has asked me to make some cot sheets for her baby so that what I will be doing shortly. I would love to win the low volume fabrics - they would go perfectly in the quilt I'm making for my husband. I am pregnant and need to make the baby a quilt. Or two or three. I love novelty fabrics, the weirder the better. Thanks! I love the collection of the low volume squares! I would like to make two quilted pillows for my sister and her family. My next project is a quilt of my nephew. These are perfect. I will start to make a apple score quilt this summer. I love both of the prizes. I follow you now with bloglovin'. Thank you for the giveaway. My next project to do is to actually finish my Double Wedding Ring quilt. I would love to win the Don't Be Crabby fabrics. I think they would make the cutest baby quilt. I really need some low-volume fabs in my stash :-) I'm in between projects right now, trying to make a decision of what to start. thanks for a chance to win. I've got two projects going: A baby quilt for my niece to be, and I'm going to be starting a Tone It Down quilt for our family! I would love the crab fabrics! I am working on an autograph quilt for my daughter to take to Disney World. I tend to like low volume and black and white fabrics, but I am trying to expand my horizons. Hello! I'm working on a swoon quilt- still in the cutting fabric stage, but I've started! I love the low volume fabric! Thanks! Working on a triangle quilt made of Chicopee right now. I love the low volume cuts! I am always making bags and would love the Don't Be Crabby selection. My next sewing project is a birthday quilt for my sister, unless I sneak in a bag for my best friend first. I'd love to win the low-volume squares, I'm rather lacking in low-volume in my stash! I am collecting low volume fabrics so that's an easy choice! I spent the winter quilting, and am now catching up on bags and zipper pouches and other handmade organizational items. Thanks for the chance to win! My next project is the noodlehead cargo duffle. I would love the low volume charms. Thanks for the chance! I am making placemats for my own house. Long overdue. I love the Laurie Wisburn crabs. I have a pillow featuring her donkey in galoshes and it makes me smile whenever I see it. I'd love the low volume. I'm working on graduation presents, aka quilts. Eeeeep - I love the low volume squares!! I am a GFC follower!! Finegrs crossed! My stash really lacks in low volume! I'm currently working on a jelly roll jam quilt and my next project will probably be a rainbow heart quilt for my mom. I am working on finishing a table runner tonight - fingers crossed I will get it done!! I love the crabby fabric but am interested in trying a low volume quilt. So it is a toss up. I'm picking fabric to make my boys summer pj's at the moment. :) I'd love the crabby fq's as my boys would love those. Thanks for a chance to win! the low volume squares look fantastic. i've been loving all the low volume quilts i've seen that have been paired with bright, vibrant colors. I love the Don't be crabby squares because I can't justify buying anymore "cute prints" not until I pop out a couple kids (or that's what my fiancé says, I think he's just trying to coerce me into starting a family ASAP). I'm currently working on my FIRST quilt ever...which will be given to my cat since he won't mind the imperfections (my fiancé says quilts for the cat don't count towards buying cute prints...see? he seriously does wants kids). Thanks for the chance! I follow you via bloglovin, I love your iris chain quilt! I am making sofa pillows for my daughter. I really have to make my mom's quilt, but all these little projects keep interrupting me! I'd love the low volume charms. Thanks for the giveaway. My next project will likely be a scrappy Halloween wallhanging. I'd love the colourful crabs and fish! My next project is finishing the changing pad covers I've been working on. Exciting, no? I'd love to win the "Don't be crabby" pack. I like them both! If I got the low volume i'd make something for me. If the brights then something for my kids. i'm a new follower on bloglovin. My next project is a dress for my sister in laws hen do. I would love to win the crab fabric, super cute! Thanks for offering. I love this Don't Be Crabby fabric. Next up for me are some bibs. Ugh, I have like 10 sewing projects planned at the moment and no time for any of them (sewing/life balance, like you, ugh) . . . including couch cushions, a table runner, a tote bag. I love the crabby fabrics! Love the don't be crabby! How fun. I really need to make some new pillow covers for my couch pillows (obviously not with the crabbies lol) but I would love to do some kid stuff with them! Thanks for the chance to win! I'm currently working on several but next up will be an applique bunny quilt. I'd love the low volume pieces. My next project is Oklahoma Twister done in blue and white. I'm making a nautical quilt for a special little boy. My next project is the Michael Miller MQG challenge . . but I've recently restocked my Botanics stash and am looking forward to making something SELFISH!! I'm following you on Bloglovin'. FL quilters need to stick together! I love the Laurie Wisbrun fabrics! I make lots of bright scrappy quilts and it would be fun to include those prints! I'll start on something new as soon as I finish the quilt I'm making for a graduation gift. I would pick the low volume prints. I want to make a wall hanging for my apartment soon! loving that crabby fabric! I am working on a sampler quilt right now for my niece. i am drooling over your low volume fabric! i plan to quilt my remaining wip's next and am in the middle of fmqing farfalle quilt now. The crabby fabric would make a really cute picnic quilt! I am currently working on an Ocracoke Cracker quilt. I'd love the low volume fabrics! I am hoping to make a special quilt for our associate pastor who will be leaving our church for a church of his own...in Hawaii!! 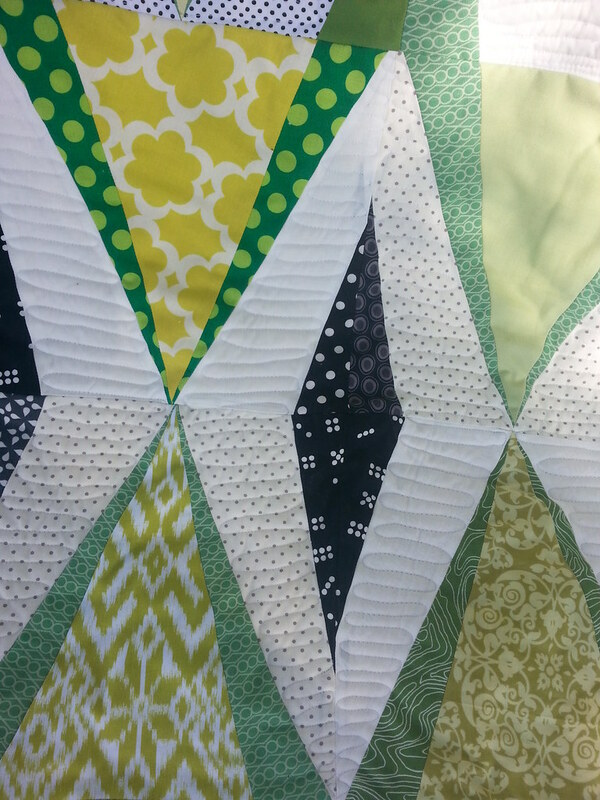 Next up is a plus quilt - low volume background with bright solid pluses - those charm squares would be perfect! Like the low volume squares; I'm collecting for a project. Currently working on getting all my old tops quilted! I LOVE those low volume squares! My next project is an interactive "doll house" wall hanging. Thanks for the drawing! 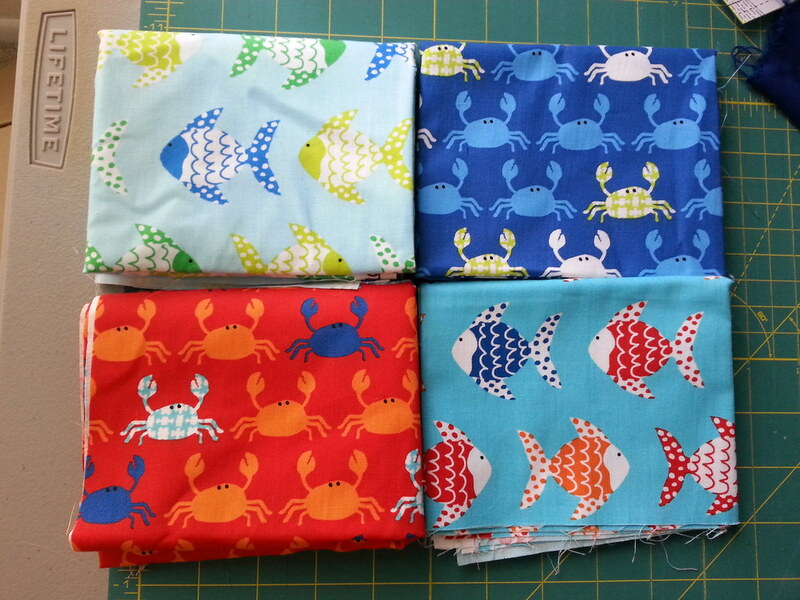 Would love to win the crabby fabric as I have been collecting crab/lobster/fish fabric for a picnic quilt. I love the low volumes! My next project is a duffle bag! I would like the Don't Be Crabby fabrics should I be lucky enough to win. I'm working on a throw for my Aunt and a graduation quilt for my niece. Thanks for the chance. I'm about to sew myself a project bag & I think I'll add a crochet edging to it. I would love the low volumn squares. Right now I am working on an orange & grey triangle quilt. I've started a bookcase quilt following the tut by Happy Quilting Melissa. I hope to make 3 of them for our library, school and one for a retiring principal. Must get busy although I've already decided they won't be done by the end of school. Thanks. I love the crabby fabric! That would be great in a kid's quilt! Have to go with don't be crabby! Cute. Thanks for the chance. Don't Be Crabby! They'd go into summer wear for my granddaughter. So cute! My next project is either a scrappy quilt or some doll clothes for my granddaughters. I would love the low volume fabrics. Thanks so much for the giveaway. My next project is going to be the Presido Purse and I like both sets of fabric so you'll have to choose for me! I have about 5 different projects happening all at once, but I'm trying to finish the Botanics quilt!! How's yours coming now? I would love the low volume! My next project is an Amish-inspired quilt for a guild challenge. I'd love the low-volume squares. My next project will be Golden Afternoon. The free quilt pattern with Jeni Baker's new Vintage dreamin line from Art Gallery. I can't wait to snuggle under it on the couch! Thanks for the chance to win. I am going to work on a tote bag next- the low volume fabrics would be great for this! thank you! I'd prefer the low volume, I don't have a clue what I'd do with the others! I'm trying to finish up some big projects and then I'm starting on a Dear Jane for some crazy reason. I follow you in feedly too, thank you so much for the giveaway! Love the low volume fabric. Thank you for the chance to win! I'm working on a low volume plus quilt and a munki munki quilt. Just found you tonight & looking forward to following you through bloglovin'. Thanks! I have several projects I boulder like to start and or complete for June. In amongst the grand plans I make baby quilts. Thanks for the give away. I will start a marcelle medallion quilt this weekend and these low volume fabrics would be perfect! I've been thinking about a low vol project, so the charms would be a fabulous start! Just now I am working on two scrap quilts - need to get them off my table! I would like to make a baby quilt, or a quilt for my son. I think I like the first bundle best, but I really like the second as well. My next project is a medieval dress for my daughter. I love the squares! I've just started a scrappy log cabin (another one), but this time in blues and green although I may add more colours, but I'm keeping each block in one colourway of lights and darks. i'd love to win the low volume squares. I don't know what my next project will be, maybe something for one of my kids! My next project is The Tokyo Subway Quilt pattern by Elizabeth Hartman & I've nearly finished cutting the 1600 odd 2.5 inch squares. I'm really excited to get sewing on this one, I've had it on my must-make list for ages. I would choose the low volume fabrics if I were to win. Thanks for the lovely giveaway. I'm a follower of your blog via Bloglovin, thanks! I love the low-volume fabrics. My next project is Rapid City by Elizabeth Hartman. Thank you for a chance to win. I love the low volume squares. My next project is a summer dress in a lovely pale blue fabric with tiny white and yellow daisies. I am trying to finish car quilts for my children for our next camping trip. the fish would be perfect for the quilt I am making for my little boy. those crabby fabrics are too cute! i'm working on a quilt for my mom and pillows for my couch. I am working on a soft color book for my daughter. low volume please! love the blueprint! I would love the crabby fabrics as I plan on making a baby quilt for a baby boy due in July . I currently have a broken wrist so am not able to sew :-( thanks for the chance . Next project is storage bins for grandsons so Don't Be Crabby would be ideal! I'm working on BOM's and Quilt alongs right now. Trying to catch up! I like the low volume squares! Thanks! Right now I'm channel quilting a king-size quilt (quilt wrestling). It will be a relief to get on to something smaller. I'd love the low volume stack. I'm slowly building towards making my first queen-sized quilt, for my bed. Thanks! I would like to win the low volume fabrics. I am quilting a chevron quilt. I'm going to do a US fabric map on a pillow for my camper--I saw the pattern at Flamingo Toes just today. I really like the Ocean fabrics. Thanks! I like both sets so either would be great. Thanks! Those low volume squares a fabulous. I have several projects going and am on a quest to finish a bunch of WIPs. Although I have discovered that often there is a reason a project became a WIP in the first place. I have a whole bunch of projects, but one is a plus quilt for my nephew using 4.5 charms, so those would be perfect!